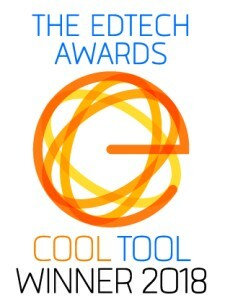 Fulcrum's Personalized, Adaptive Learning Platform Earns Cool Tool Status, Helping to Shape the Future of Learning. 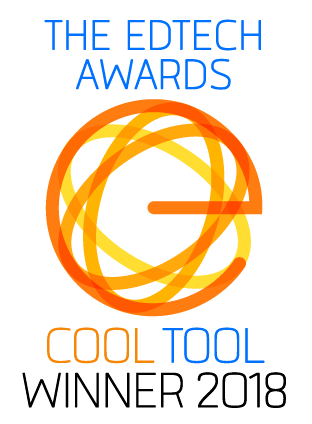 LOS ANGELES, April 20, 2018	(Newswire.com) - Fulcrum Labs, a leader in personalized, adaptive learning technology and predictive analytics, today announced it has won EdTech Digest’s prestigious Cool Tool Award in the category of Best Professional Skills Solution. These awards represent the largest and most competitive recognition program in all of education technology, recognizing the biggest names in edtech. The award was presented to Fulcrum Labs and its partner, the Aviation Institute of Maintenance (AIM), for their collaboration in creating AIM’s successful Professional Aviation Maintenance Certification (PAMC) course – an online test-prep program powered by Fulcrum’s proprietary AI-driven adaptive learning platform to prepare AIM students for the high-stakes FAA mechanic certification exams. The award-winning entry highlighted key metrics such as a 14-percent improvement in pass rates and a dramatic 25-percent increase in student exam participation, once again, validating Fulcrum’s mission to turn learners into confident subject matters. Fulcrum Labs turns students into learners and learners into confident subject matter masters through its personalized, adaptive learning and predictive analytics (PALPA™) SaaS platform. This advanced learning platform leverages AI and machine learning to replicate and scale many of the benefits of a dedicated, one-on-one tutor, while verifying mastery and predicting those who are at risk of not applying the training. Fulcrum’s customers have seen tremendous results in markets including commercial aviation, healthcare, manufacturing, certification prep and higher education. For more information on Fulcrum Labs, please visit the-fulcrum.com. Aviation Institute of Maintenance (AIM) is a network of aviation maintenance schools with campuses coast-to-coast across the United States and headquarters located in Virginia Beach, Va. AIM students are trained to meet the increasing global demands of commercial, cargo, corporate and private aviation employers. AIM graduates are eligible to take the FAA exams necessary to obtain their mechanic’s certificate with ratings in both Airframe and Powerplant. AIM’s campuses are located in the following major metro areas: Atlanta, Philadelphia, Dallas, Houston, Indianapolis, Las Vegas, Washington, D.C., Kansas City, Mo., Oakland, Calif., Orlando, Fla., and Norfolk, Va. Learn more at: AviationMaintenance.edu. Further information about The EdTech Awards is available here: https://edtechdigest.com.